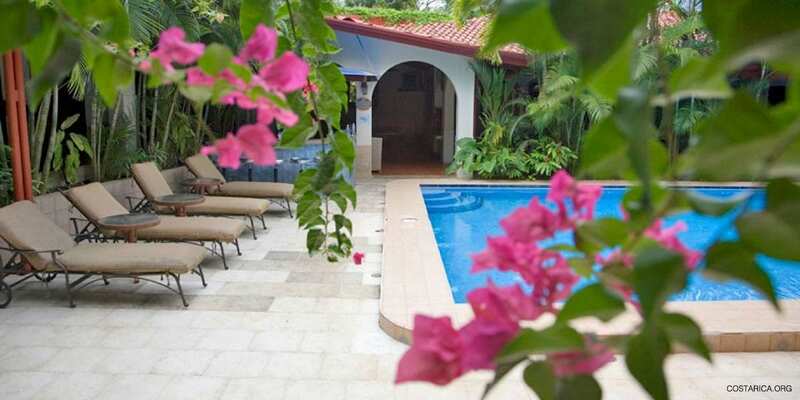 Villas Lirio Manuel Antonio is an intimate 11 room Boutique Hotel. With patio garden tropical settings you feel the deep connection with nature. Just being on this property is a healing experience. The most majestic aspect of this Tropical Oasis are the rustic pathways leading you to your Adobe Spanish style suite. Never apart from the Rainforest, one can also hear the sounds of wildlife-welcoming you into your day or sing you to sleep, by moonlight. 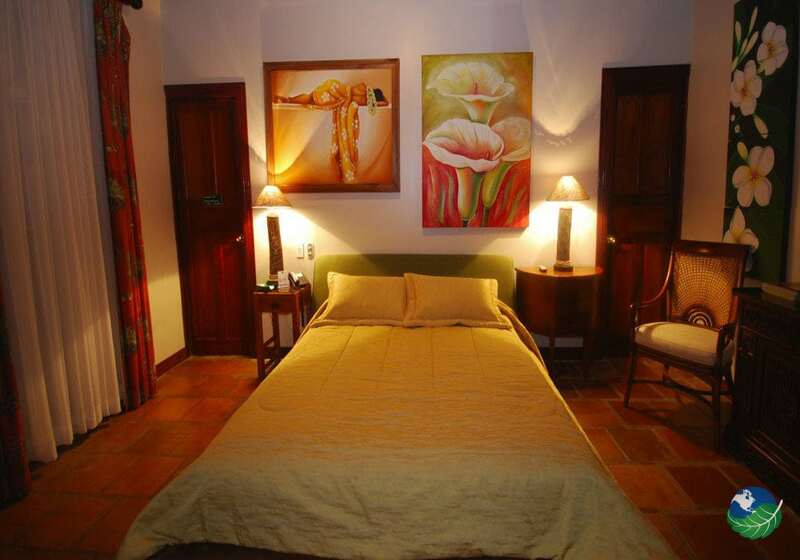 Rest a sure; you will leave The Villas Lirio feeling relaxed and restored. 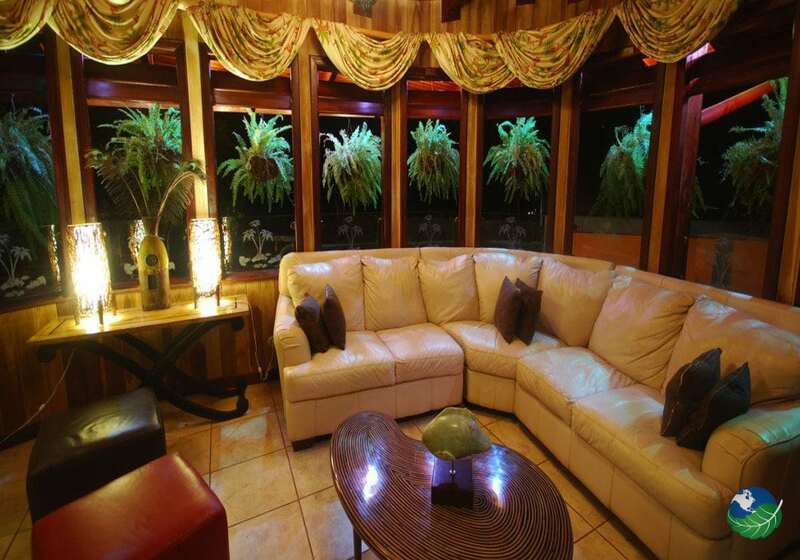 The 11 Room Inn, against the hillside of the rainforest, offers you accommodations, that will make you feel completely pampered; queen bed, high-speed internet, cable TV, safe in room, small mini bar and more. Ceiling fans in every room to keep the warm ocean air flowing. Under the heat of the tropics, we offer AC to cool the fire on those hot jungle days in Costa Rica. By night, soft lighting and garden settings may invite you to stay in or take a walk on the beach. 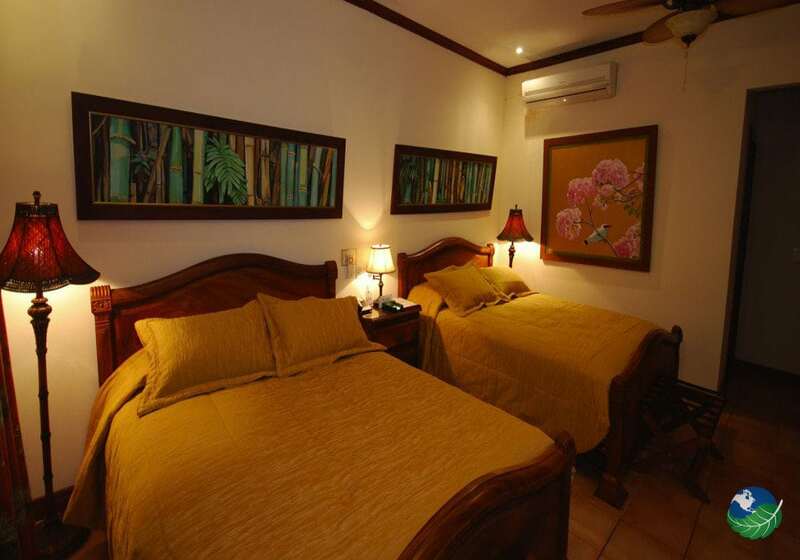 Whatever you choose to do, you are completely at home in the intimate surroundings of Villas Lirio Manuel Antonio. First Class with Villas Lirio Manuel Antonio! 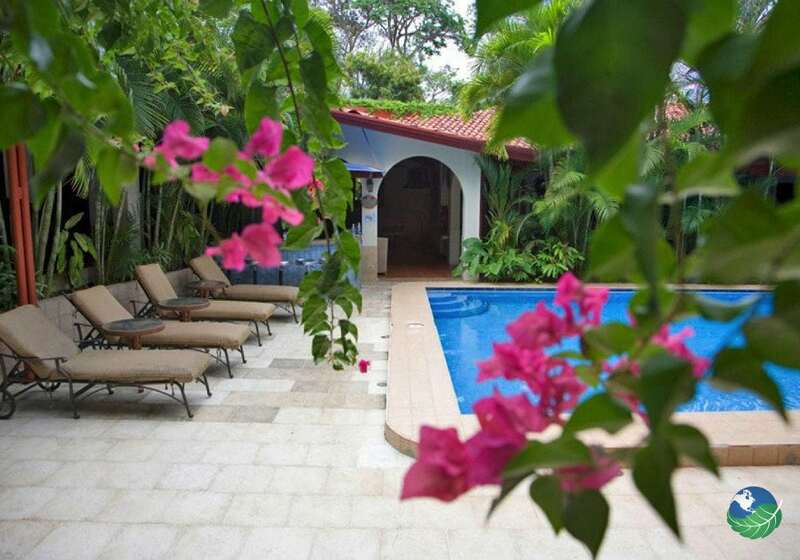 This Spanish Style Intimate Costa Rica Resort is waiting for you to experience. One can feel the intimacy and warmth of this 11 room boutique hotel as soon as you step foot on the garden grounds. Find pools, sauna, restaurant/bar and exotic healing gardens everywhere you turn. The modern luxuries of this hotel are the diversity of business meeting/conference room facilities available for you to use. 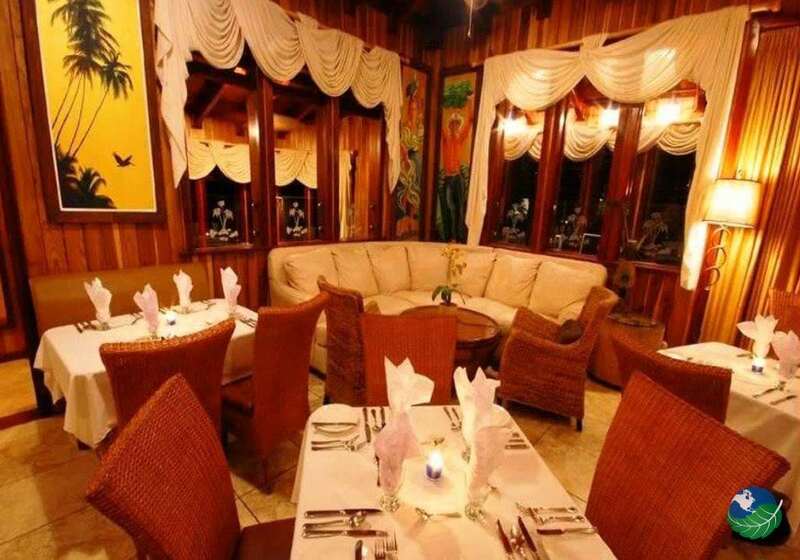 Villas Lirio Manuel Antonio can creatively design/cater events to your specific needs. Our goal at our intimate boutique is a comfort, class and international hospitality. We look forward to creating your tropical oasis getaway. Your boutique tropical home away from home awaits you. Right in the middle, between Quepos and Manuel Antonio is where you will find the Villas Lirio Manuel Antonio. Up high on the hillside of the Pacific Coast where heaven and earth are one, you will experience the splendor of it all. Thousands of miles away from home. In fact, a handful of kilometers closer to the Manuel Antonio National Reserve. Also, everything you need; food, adventure, culture and education are within minutes of your intimate hotel retreat. Never looking back, you will always remember this experience. Adventure, healing, and serenity are the ultimate Paradise Vacation. All in all, you are sure to love it here. Manuel Antonio. Adults Only Pool, Jacuzzi, Restaurant. TV, Phone, Safe Box, Hair Dryer. Laundry Service, Concierge, Room Service. Manuel Antonio. Favorite. Adventure Guide, Drinks, Meal, Transfer, Equipment. Manuel Antonio. Favorite. Adventure, Family Guide, Meal, Transfer, Equipment.